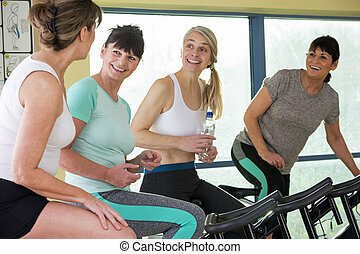 Aerobics pilates women group having a rest at gym talking and having fun. 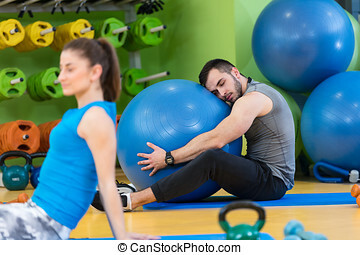 Small pause. 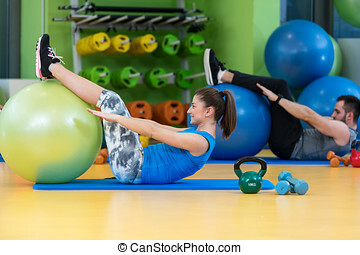 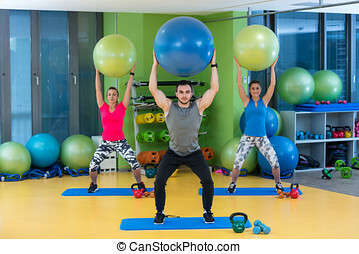 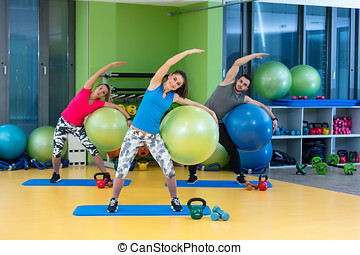 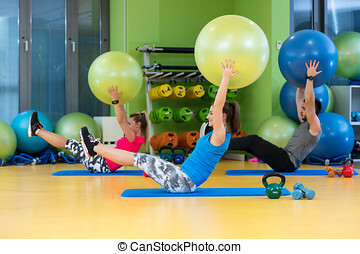 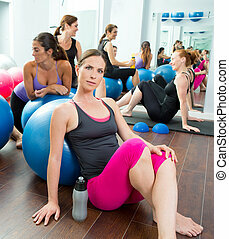 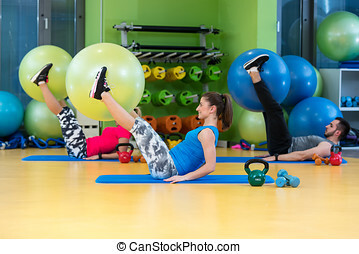 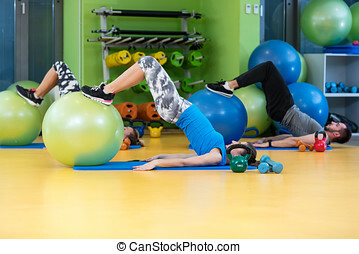 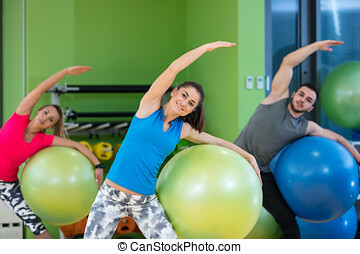 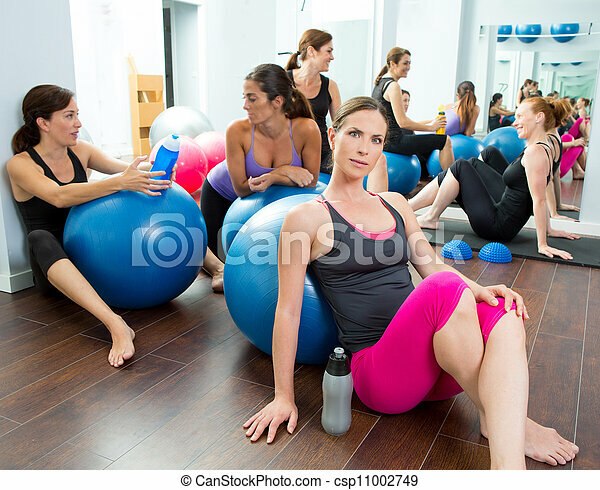 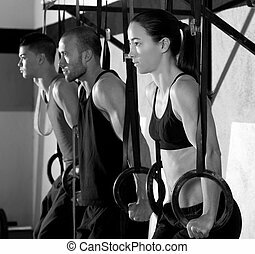 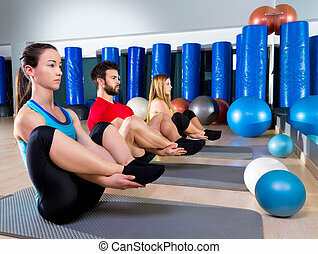 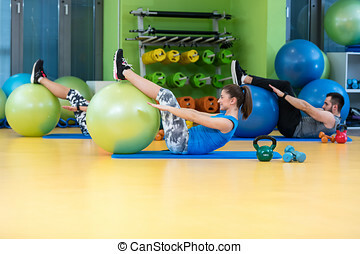 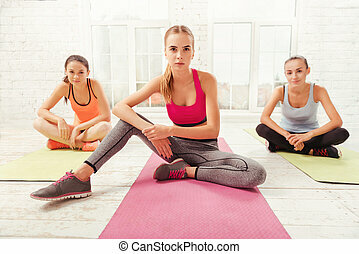 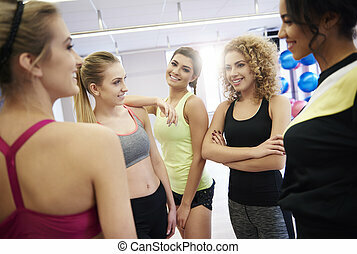 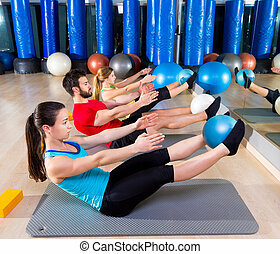 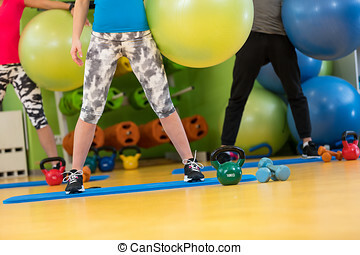 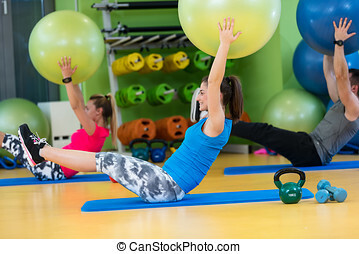 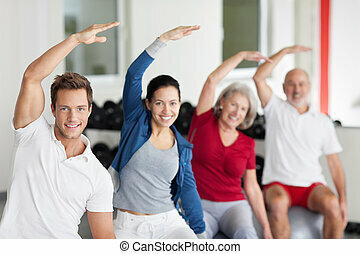 Youthful attractive women are having rest at gym after doing some stretching.